AT&T Performing Arts Center is proud to be one of the first performing arts centers in the Southwest to partner with Disney Musicals in Schools to develop sustainable musical theatre programs in public elementary schools. Using the unique world of musical theatre, Disney Musicals in Schools helps foster positive relationships between students, faculty, staff, parents, and the community. Students and teachers work in teams, developing the wide spectrum of skills needed when producing a piece of musical theatre, including: critical thinking, problem solving, ensemble building, communication, self-confidence, and interpersonal skills. 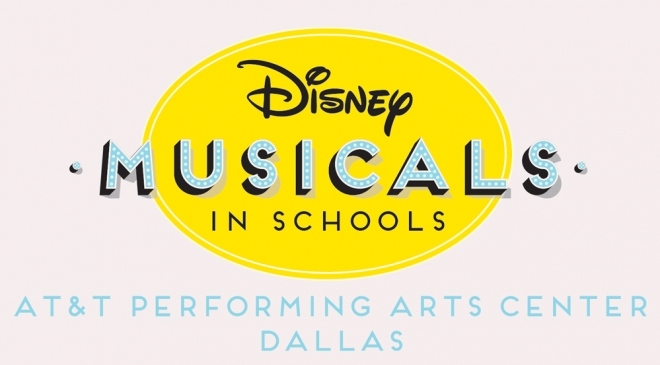 The Center will select five Dallas ISD elementary schools to participate in the 2018/2019 Disney Musicals in Schools program at no cost. Over the course of 17 weeks, 3rd-5th grade students at selected schools will work with professional teaching artists to produce 30-minute Disney KIDS musicals on their school campuses. In May, all five schools will share their work by performing in the Student Share Celebration at AT&T Performing Arts Center. Read more about Disney Musicals in Schools. If you are a Dallas ISD elementary school teacher and are interested in applying to this program, e-mail education@attpac.org. If you are interested in being a teaching artist for this program, click here to apply.